In November three short talks will focus on different aspects of the business life of Lewes. 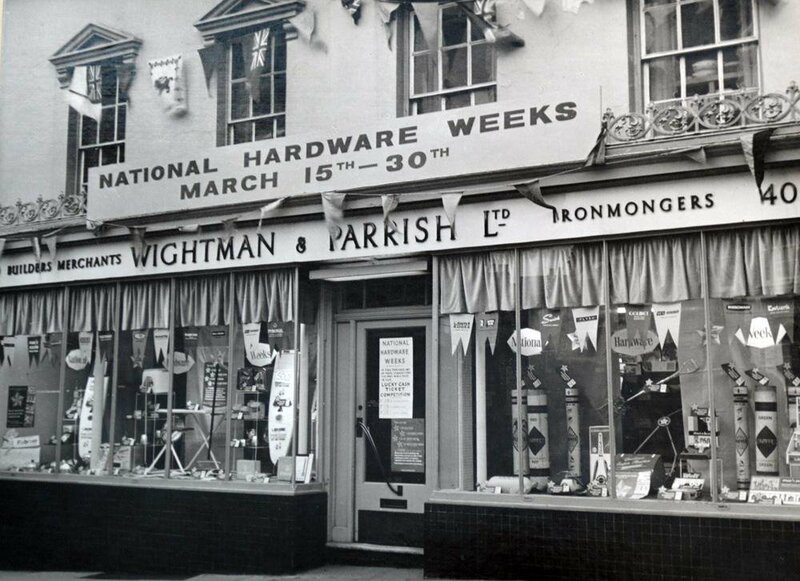 The first speaker will be Michael Parrish, whose grandfather joined the Lewes ironmongers business of George John Wightman in 1915, after which it became Wightman and Parrish, which many older residents will remember. Ironmongers were a key feature of every market town, serving the surrounding rural area as well as the town itself. The Wightman and Parrish retail shop had a central position near the War Memorial but its warehouses and workshops spread across the town, incorporating at one time the former Morris foundry in the Cliffe, later spun off as the agricultural merchants Culverwells. China also became an important aspect of the business. The business flourished with the secret of success being to keep up with the times, and to diversify. Michael Parrish explains, “The company started as a country ironmongers supplying blacksmiths and wheelwrights throughout Sussex. With the arrival of motor cars, the second generation of the family started selling building materials. Later on, it developed the retail side of the business with hardware, china & glass. The third generation began selling industrial cleaning products and then the current generation has introduced healthcare equipment.” The business expanded into other towns, and although the Lewes shop closed some thirty years ago, the business still continues today from its base in Hailsham. It has recently celebrated its centenary, in the hands of the fourth generation of the Parrish family. The second talk will be from Andrew Buxton. Older members will remember the cash carrying systems that used to whiz around some older stores, carrying money payments to a central location, and then returning with change. Andrew will tell us about the various Lewes shops that used to use such systems. John Kay will complete the programme with a short talk about the long history of Wycherleys, the estate agency that was originated by Alfred Wycherley well over a century ago.